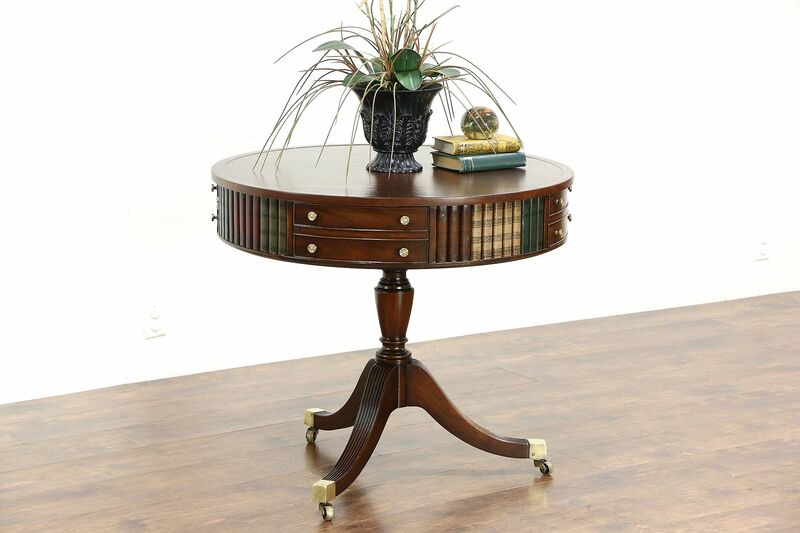 A revolving round drum table has tooled leather "books" between the drawers and doors. Mahogany with an excellent restored finish, the traditional pedestal base has brass feet and wheels in the Georgian manner. The inlaid tooled leather top has lots of dings and mars for antique character. Drawers have dovetailed solid oak sides on this American made 1940's vintage furniture. Measurements are 34" diameter and 30" tall.